A small raid, but pretty satisfying overall in terms of difficulty. Helya is certainly the most complex boss we've fought so far in this expansion. We'll see what the Nighthold has in store for us in less than two months! On a side note, with Heroic Xavius falling in addition to Normal Helya, our guild is now ranked #17 for Malygos-Icecrown on WowProgress! Thanks to everyone who has helped get us this far! Congratulations to everyone who took part in our fastest raid clear yet. It has been especially gratifying to see so many new and returning raiders at the start of this expansion. Obviously, the long content drought in Warlords didn't help, but if Blizzard honors its commitment to provide us with more content on a more even basis, I hope we'll continue to see the same numbers! And with the curtain about to fall on Warlords of Draenor, the Glory of the Hellfire Citadel meta-achievement is complete! As always, thanks to everyone who participated, especially those who stuck around on the second (and in some cases third) achievement attempts to help those who missed earlier runs. See you all in Legion! 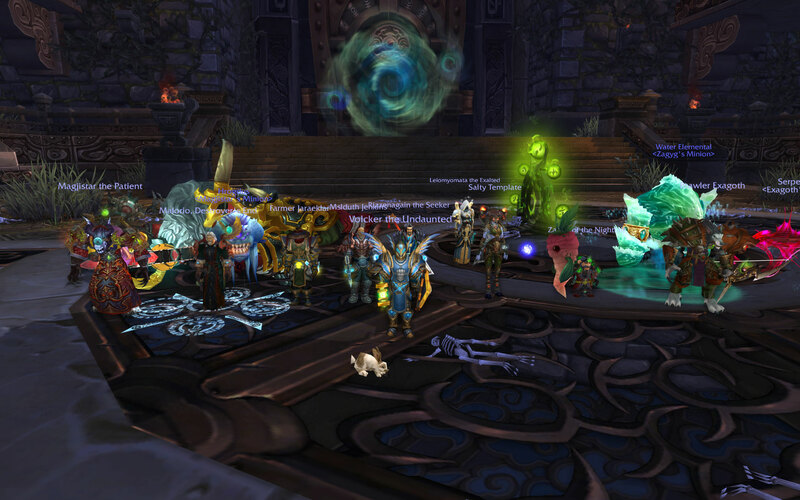 Posting this a week late due to me having quest issues, but last Monday we finally got Heroic Archimonde! The fight is not quite as bad as Heroic (formerly known as Normal) Garrosh or Lei Shen, but the kill was very satisfying nonetheless. 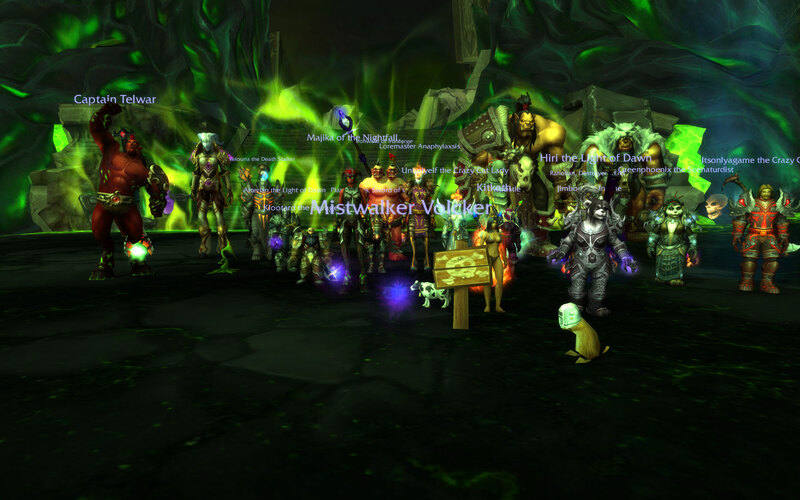 As always, thanks to everyone who stuck with progression through thick and thin - not just on Archimonde but with every boss on Heroic. Enjoy the moose! 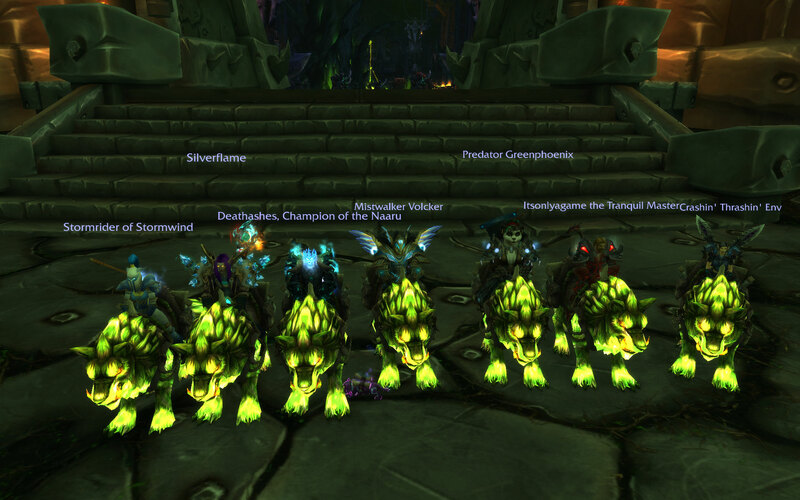 Coming up in the not too distant future: Highmaul and Blackrock Foundry raids for the Glory mounts. 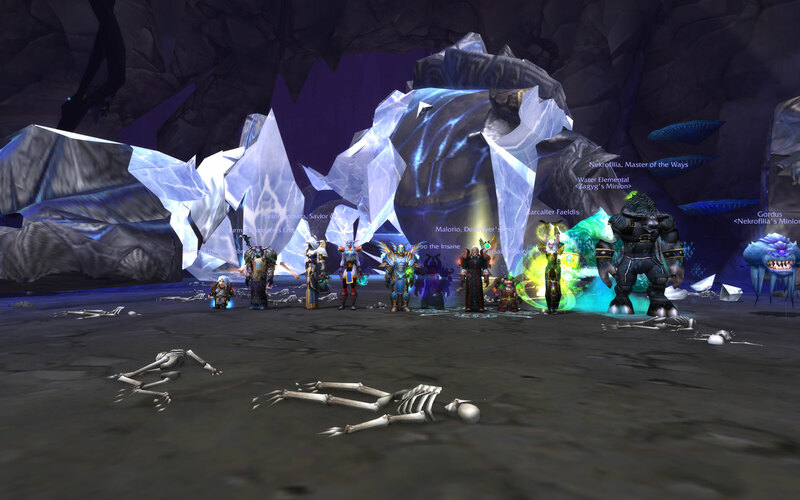 After four months, Hellfire Citadel is cleared! Archimonde is a tough fight, but I think it took us slightly fewer attempts to get him down than we had on Lei Shen or Garrosh. Of course, the recent nerfs to make the fight on Normal more in line with the old SoO flex didn't hurt! Next up: Heroic! Currently 5/13H - we'll try to clear the rest before Legion comes out! 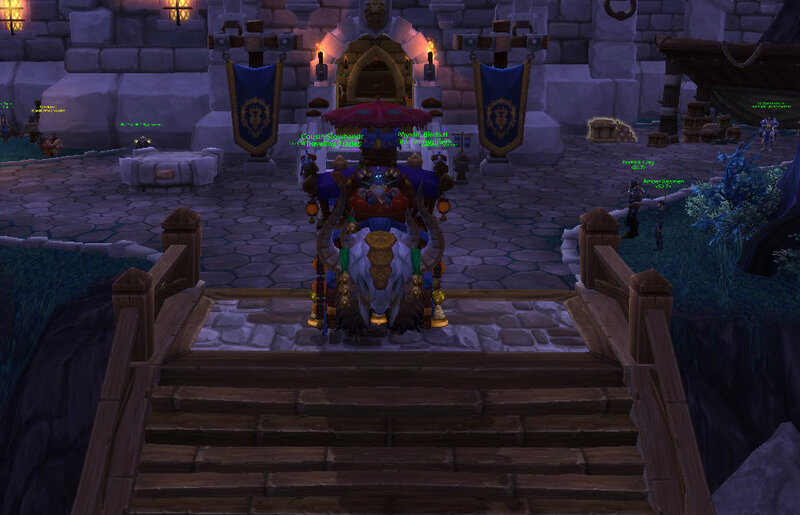 A huge thank you to everyone in the guild for surprising me with a yak for my birthday! I'm honored and humbled at your generosity, and very, very grateful. 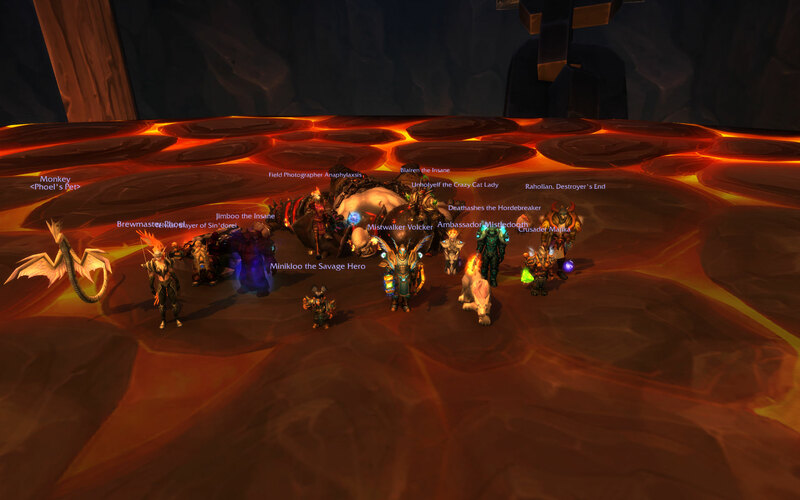 LeioDev Null conquers Hell Fire Citadel LFR! 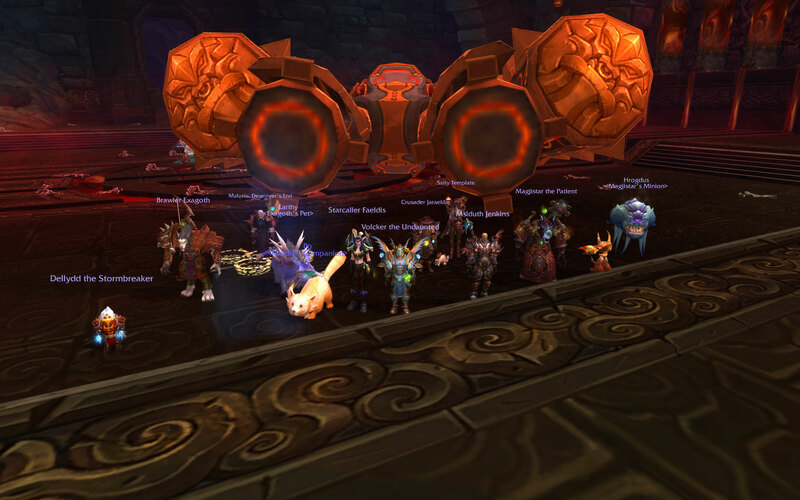 Thank you to all who participated in Saturday's Guild LFR run! we had 13 team members queue together and lots of tomes and loot collected! 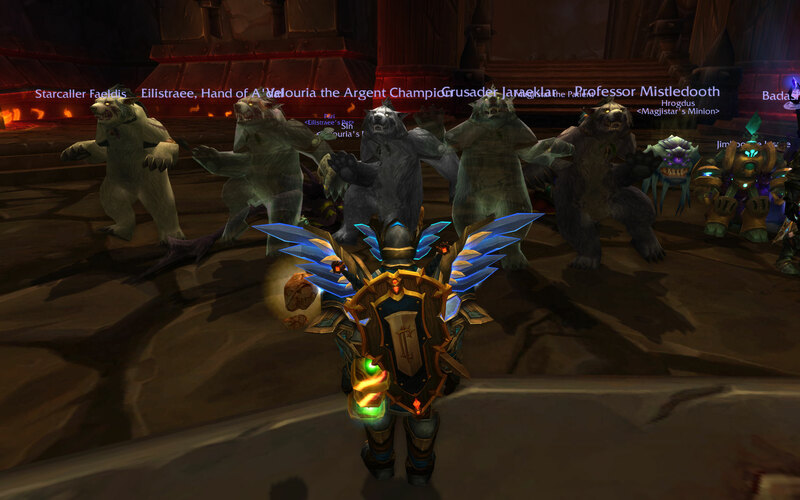 I will set up a Tuesday evening Guild LFR run each week (Tuesday seems to be when the experienced players tend to queue up), and hopefully we can get every toon through the Legendary Ring quest with a little less pain! Please sign up so we have an idea of the roles needed. Again! thanks to all who came and grats! VolckerAhead of the Curve: Heroic Imperator! Even with the raid geared at a half a tier level higher, this fight still requires a lot of concentration. Thanks to everyone who stuck with it, and congratulations on the achievement! 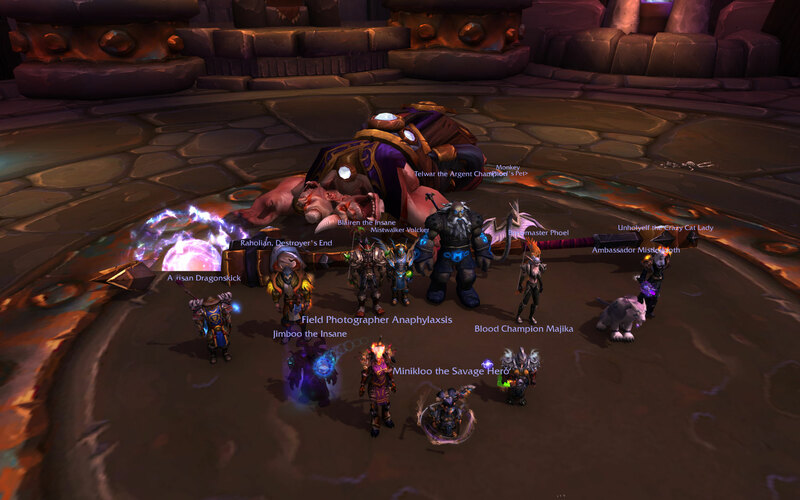 After weeks of attempts, it all came together tonight for a clean kill on Blackhand! Thanks to everyone who participated in the 66 attempts, and a special tip of the hat to Minikloo, who was the last gnome standing for the final 1%! 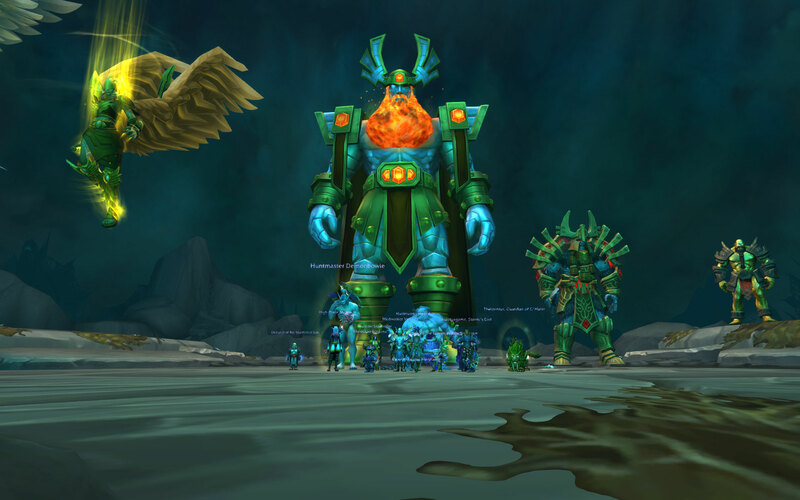 First raid of the expansion cleared! 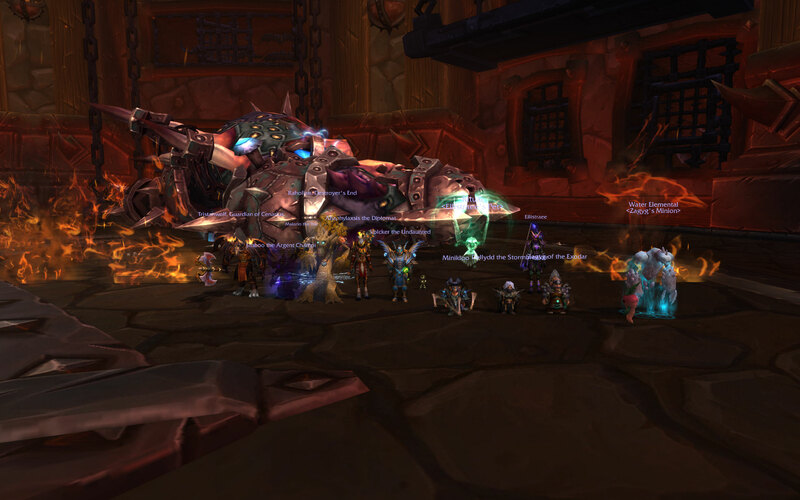 On to Heroic progression before Blackrock Foundry releases next month! LeioRagnaros is STILL no match for Dev Null!! Even after 10 years.. the Firelord has once again fallen at the hands of Dev Null! Happy 10th Anniversary to all our team members and friends who made last night's run so successful! On to the next 10 years! Glory of the Orgrimmar Raider that is! 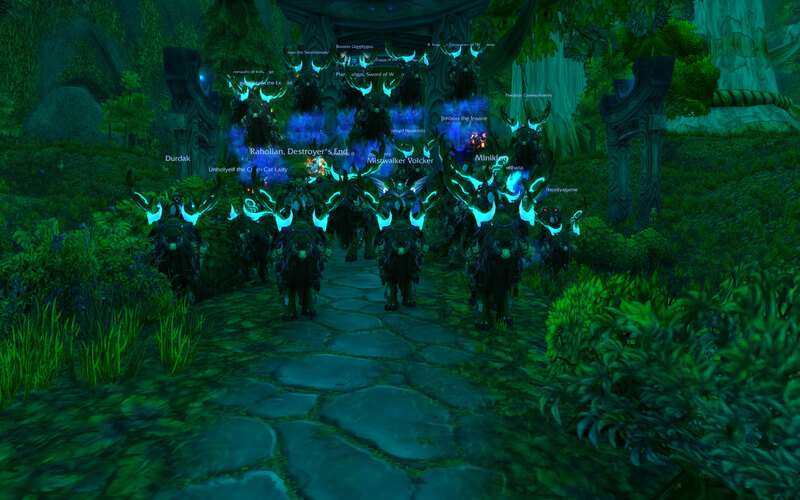 Grats to everyone who got their mounts tonight. We will do one more run-through on Normal (over the next two Sundays) before the release of WoD to get achievements for anyone who may have missed them the first time around. See you all in Draenor! Sorry, no pun for this one. However, it does put us at 5/14H and still on track to be 7/14H by the time 6.0 drops in October. 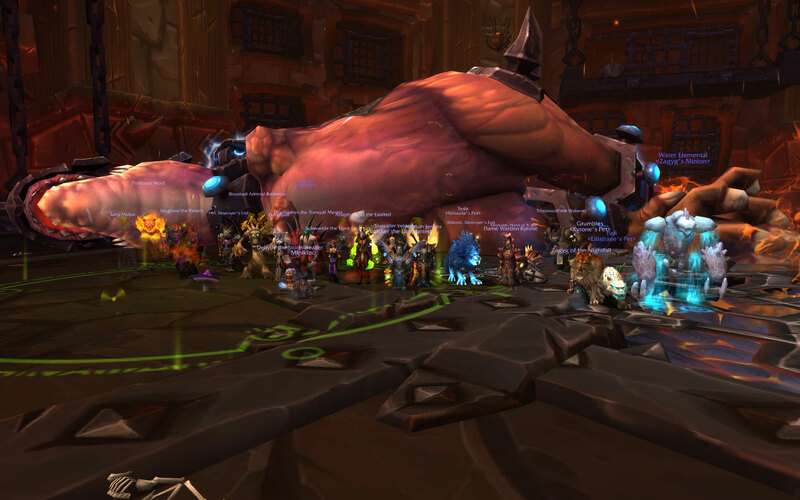 Heroic Iron Juggernaut should be down shortly, then we'll skip Heroic Dark Shaman to focus on Heroic General Nazgrim! 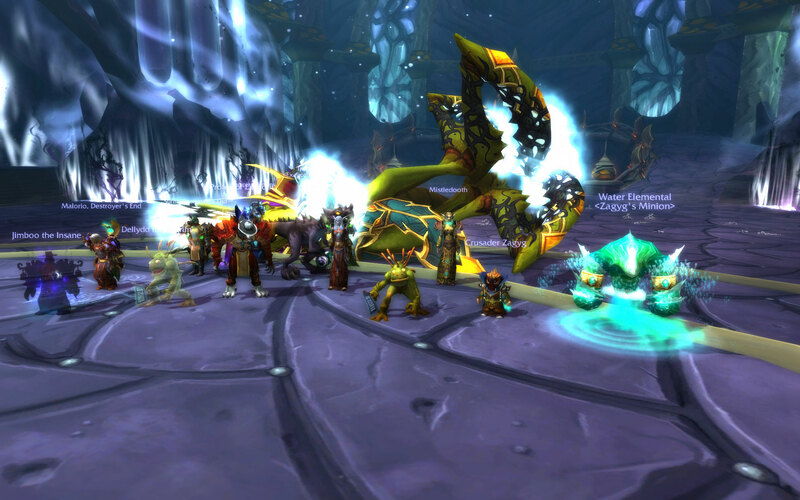 And that's the last Sha boss down for this expansion. 4/14H now - let's aim for 7/14H before 6.0 drops! VolckerGuild Glory of the Pandarian Raider! Thanks to everyone who participated in getting this guild achievement (clearing Heroic Mogu'shan Palace, Heroic Heart of Fear, and Heroic Terrace of Endless Spring). All guild members can now purchase Reins of the Thundering Cloud Serpent from the guild quartermaster in Stormwind or from your own personal guild herald or page. 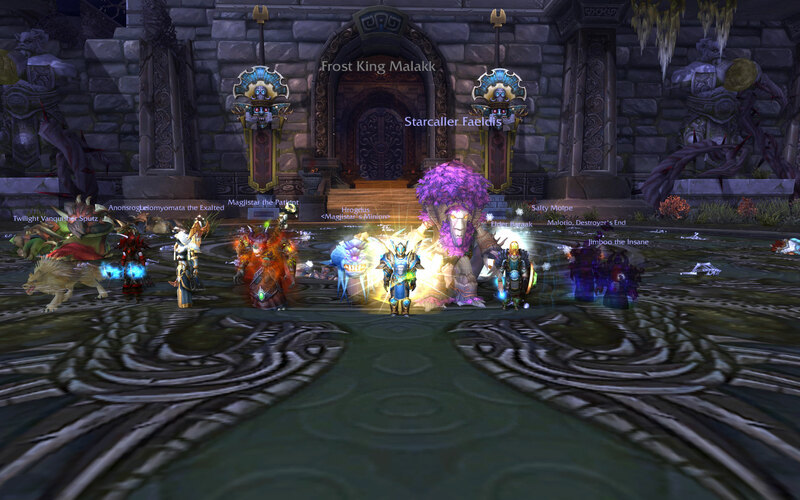 Tough fight but with both of our top shadow priests in the same raid and with some excellent healing, we managed to pull through! 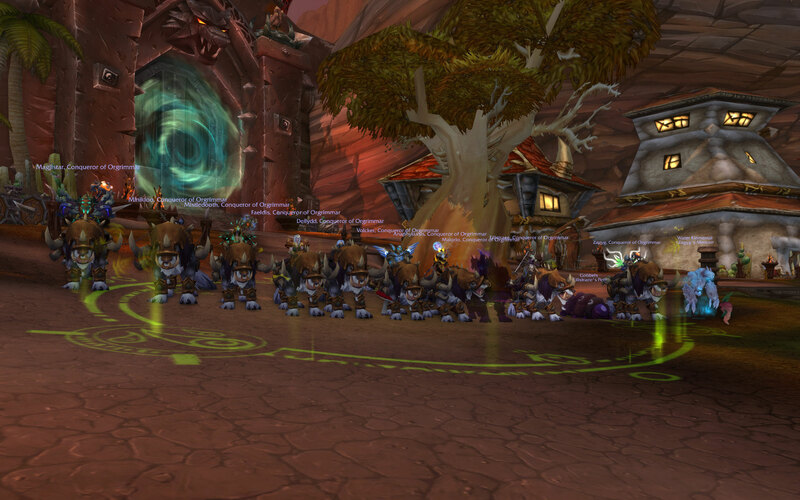 Next up: Heroic Sha of Pride and heroic tier tokens! (I promise we'll take a picture of that kill just to spice up this page a little). 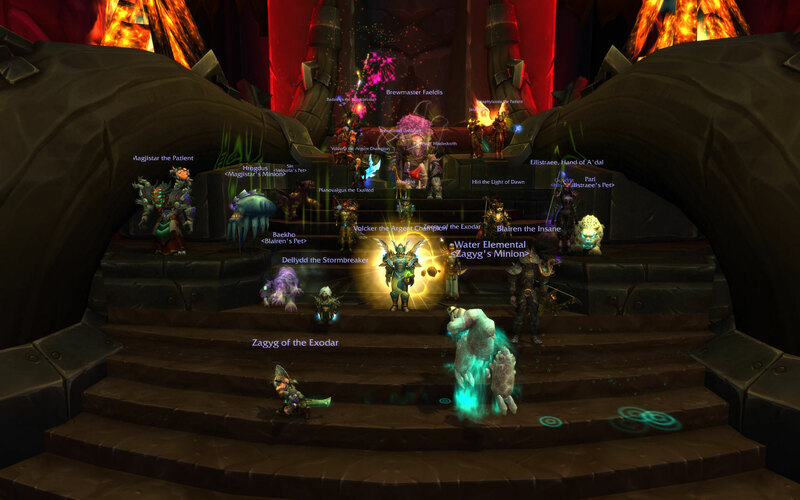 No fancy picture since it just looks the same as on normal, but the first kill in Heroic Siege of Orgrimmar is in the books! The fight is very frontloaded, but the first time we made it past the second split phase, we had our kill. This public service announcement was brought to you by Deathashes and Volcker (tanks), Anaphylaxsis, Faeldis and Unholyelf (heals), and Dellydd, Hiri, Malorio, Mistledooth, and Zagyg (dps). After a record 80 attempts on a boss, the Horde Warchief has fallen! It was a long, hard slog, but the kill was extremely smooth and we had everyone alive at the end of the fight! A huge THANK YOU to everyone who put in the effort week after week and wipe after wipe; I can honestly say that this is the hardest boss fight we have ever done. With a few minor adjustments, our raid one-shot Normal Siegecrafter Blackfuse tonight, then proceeded to kill Paragons in just a few attempts, clearing the way to Garrosh. 13 bosses down, 1 to go! VolckerThok the Bloodthirsty is now Extinct! Now that Flex has been cleared, we're making the push on Normal. After more than two hours of attempts tonight, we finally managed to down Thok the Bloodthirsty on our Very-Last-Attempt-Of-The-Night-For-Reals. Thanks to everyone who persevered through this nightmarish fight! 11 bosses down, 3 to go! 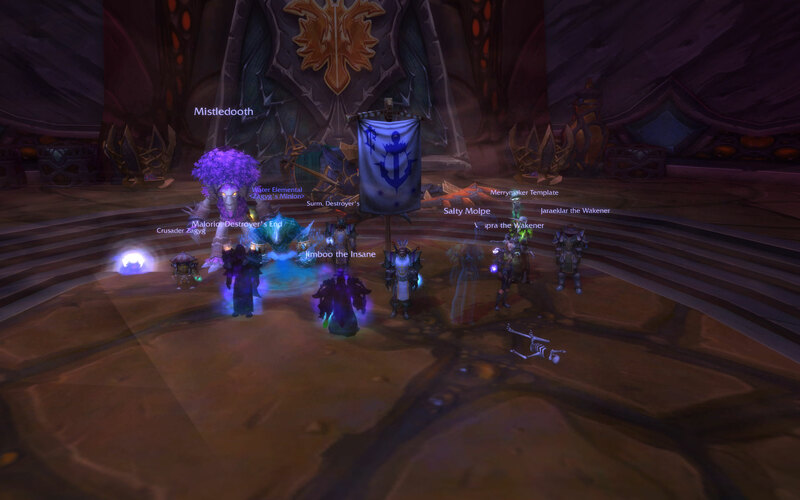 While the guild continues to progress on flex mode (Siegecrafter Blackfuse downed), we are also making headway on normal mode. Tonight, with some minor tanking adjustments and some stellar healing, we downed the Kor'kron Dark Shaman to put us at the halfway mark. It's been a while since we've updated the front page. What better way to do so than our first kill picture of everyone's favorite insta-gibbing dinosaur, Thok the Bloodthirsty? 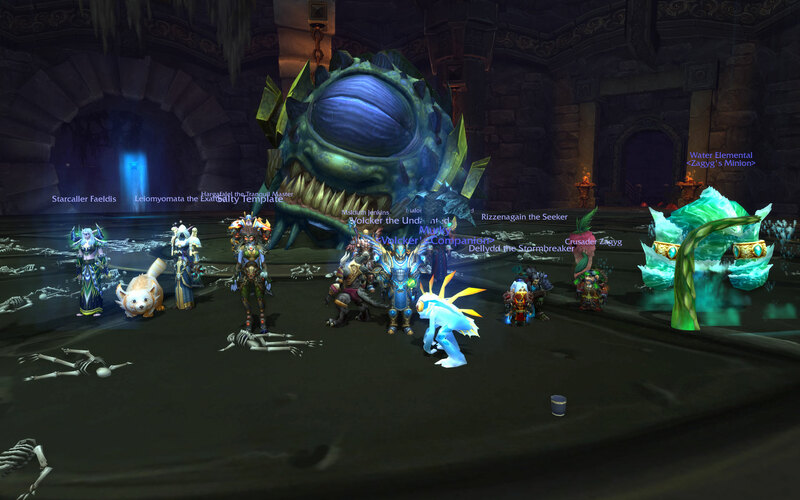 Our flex group of 17 downed him tonight, which puts us at 11/14 on Flex mode. (We are also 6/14 on normal!) Just 3 more bosses to go! "Your persistence in the face of adversity strengthens your resolve." The Throne of Thunder has been cleared! Thanks to everyone who helped clear the instance over the past five months, and special thanks to everyone who continued to sign up week after week during the down periods of early summer and back to school. See you all in the Siege of Orgrimmar! 2 more bosses to go! 9 bosses down, 3 to go. Let's keep pushing towards a full clear before the next patch hits! Boss was too easy to warrant a screenshot. Got some good attempts in on Dark Animus - should have it next time! After one-shotting Ji-Kun tonight, we spent two hard-fought hours on Durumu before finally getting the kill with four people left standing! 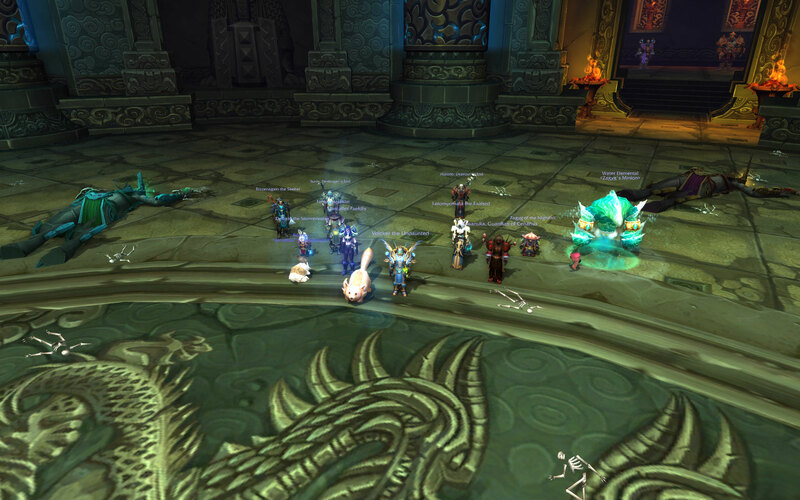 This is a fight where one mistake by one person can easily wipe the raid, so thanks to everyone for sticking with it. We've reached the halfway mark through ToT! Next up is Durumu, and once we're past him, the path to Lei Shen should be fairly easy. Another week, another boss down. Next up: Ji-Kun! 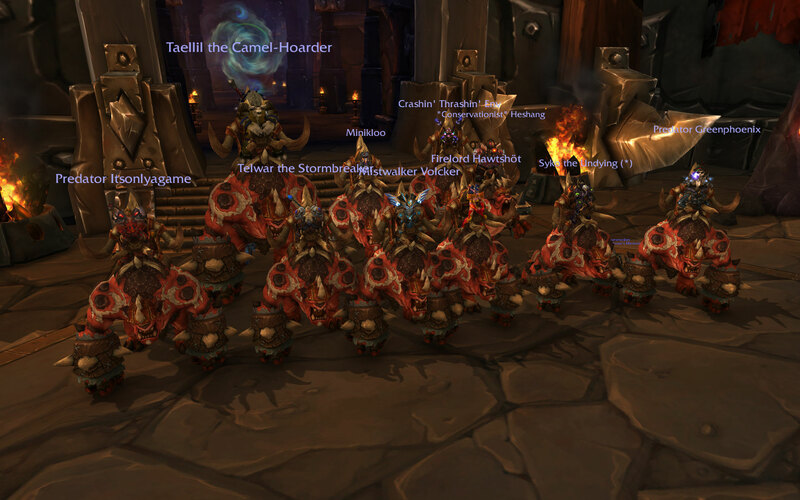 Tonight we got Tortos down in about an hour's worth of attempts to get us through the first third of Throne of Thunder! We then made several attempts on Megaera, which as expected will prove to be a challenging fight for our healers. However, the fight is very simple mechanically so with practice this boss should fall in the near future! 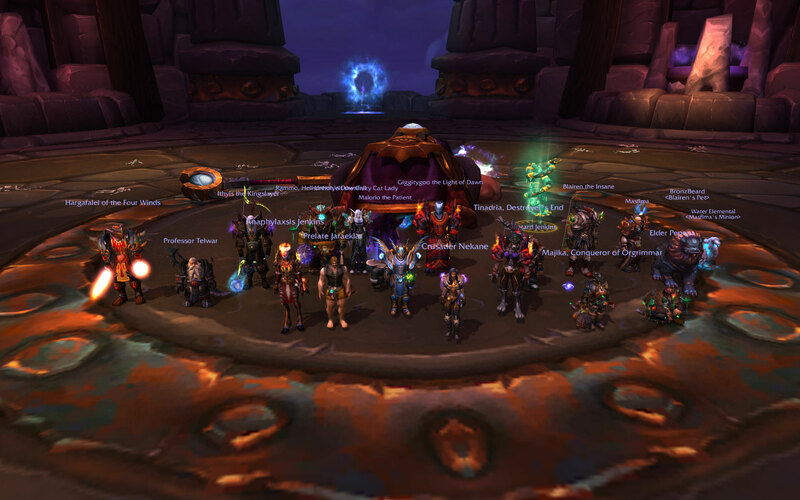 Although the night did not start off promising, with cancellations, late appearances, and no-shows, we were able to down the Elder Council in Throne of Thunder in just under two hours of attempts. Special thanks to everyone for their patience in getting the raid underway and for sticking through all the attempts. 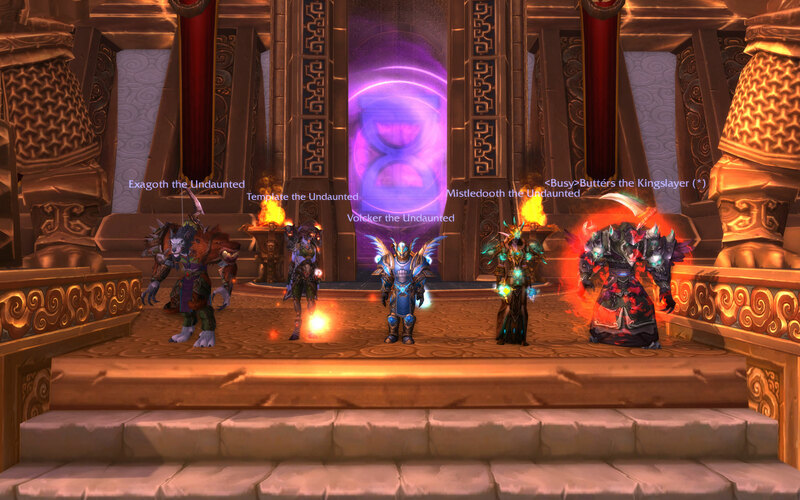 Tonight the guild earned the achievement for all Challenge Modes completed under the gold times. All guild members now have access to the Thundering Serpent Hatchling from the guild quartermaster, so remember to pick yours up the next time you log in! 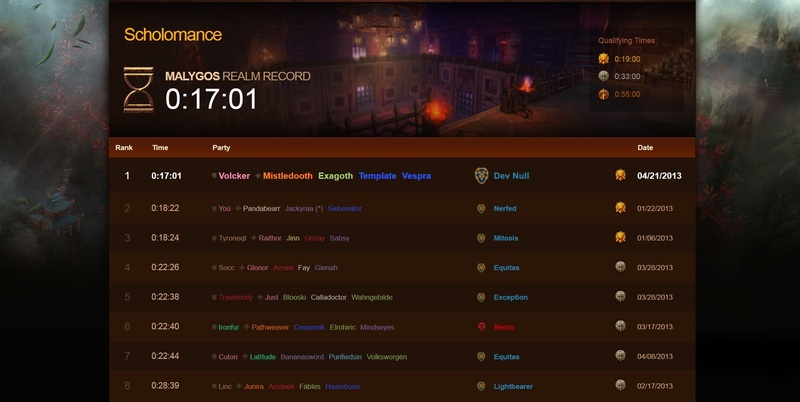 Our realm record for Scholomance has been surpassed, but for now at least we have the realm record for Brewery (one of the toughest challenge modes, in my opinion). Congratulations and thanks to everyone who helped out on these over the past couple of months! It's been a long time since we've updated the news with our progress. The last post is about the defeat of the Empress in Heart of Fear, but soon after that we finished Terrace as well. 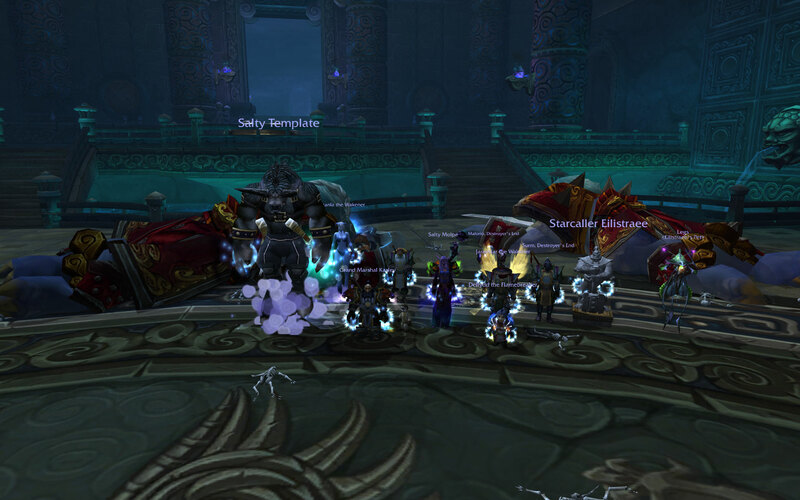 Tonight our non-expeditionary Sunday run took out Horridon, the second boss in Throne of Thunder, after several weeks of attempts. Next up is the council. Nice work folks. Stressful fight for the healers, even with the 10% nerf. But we still managed to get the boss down in 90 minutes, which left time for us to head in to the Terrace of Endless Spring and one-shot the Protectors. Three more bosses to go in the tier! Since the patch we've gotten 3 new bosses down: Garalon, the Wind Lord, and last night the Amber Shaper. One more and we'll be able to unlock the Terrace! 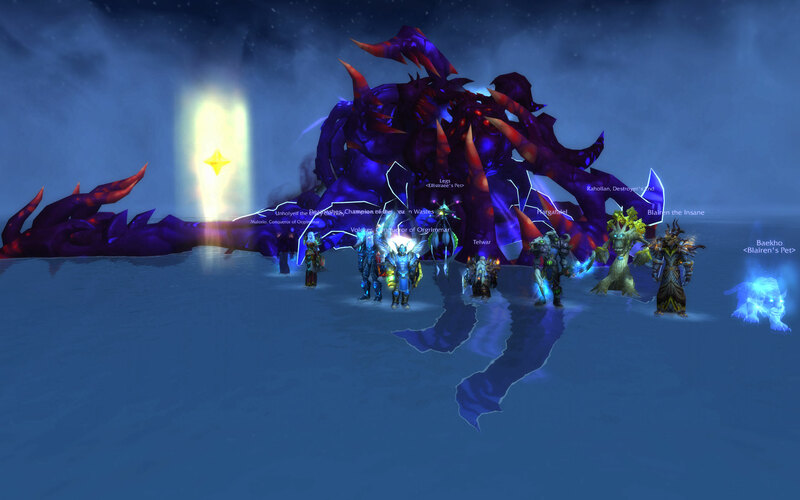 Half the raid dead, but we managed to get him down. 8 bosses in the tier down, 8 to go! 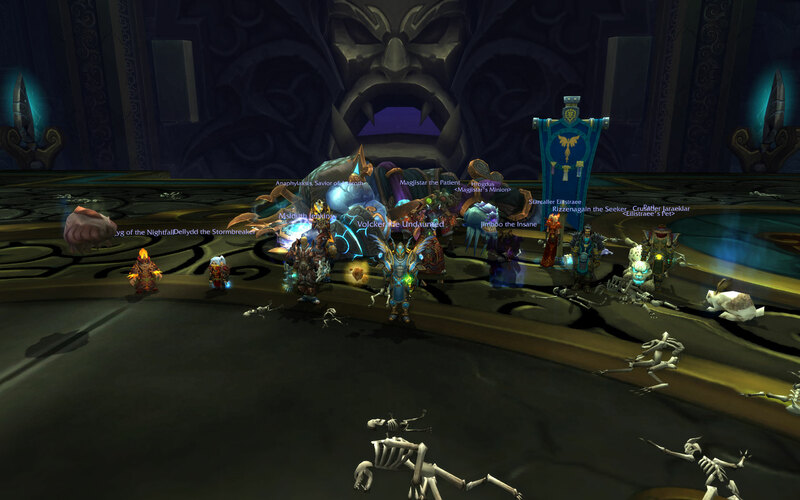 After a holiday break, we started off the New Year strong with guild-first kills of Elegon and Will of the Emperor on the same night! 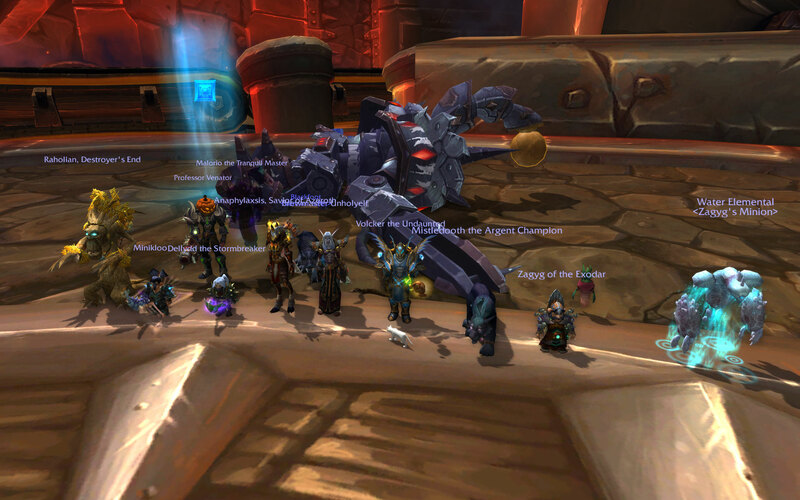 We had a very solid group with excellent dps, killing Elegon with about 1:15 left on the enrage timer. On top of that, we got the "Straight Six" achievement. Needless to say, it felt very satisfying to get the Elegon kill one day before the nerfs took effect! 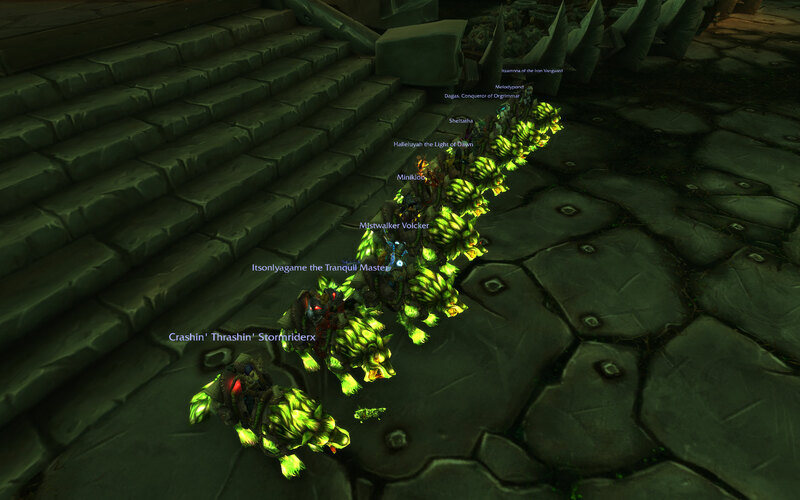 We'll aim to clear as much of MSV as we can on our weekly normal EPGP runs. In the meantime, we'll switch our progression focus to Heart of Fear. Tier tokens, here we come! 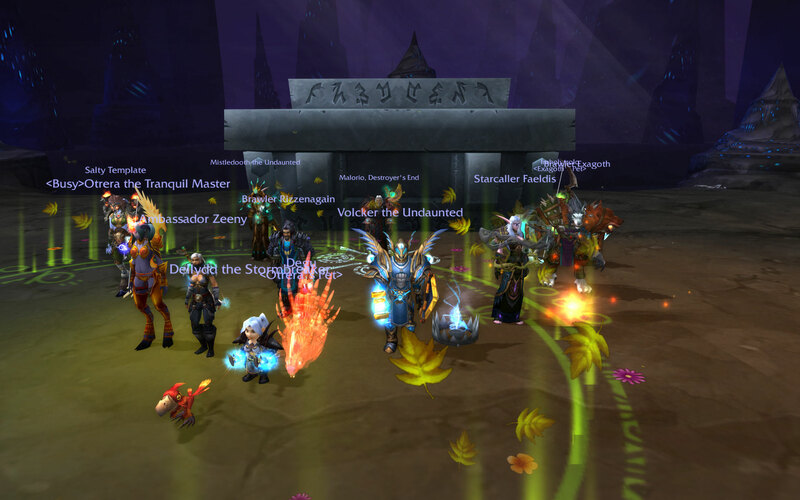 We haven't updated the news in a little while but we are indeed making steady progress through Mogu'Shan Vaults. Next up is Elegon, which looks like a serious DPS race. 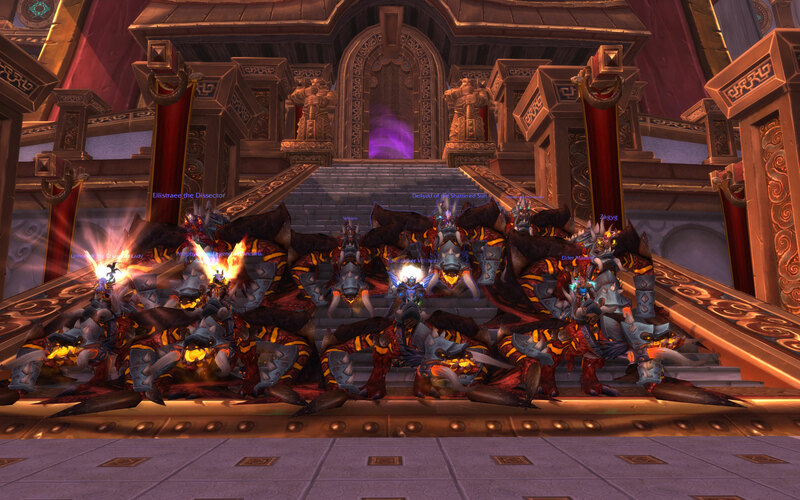 11 guildies (supplying 1 of 2 tanks and 5 of 6 healers) waltzed through all three open raid bosses tonight. 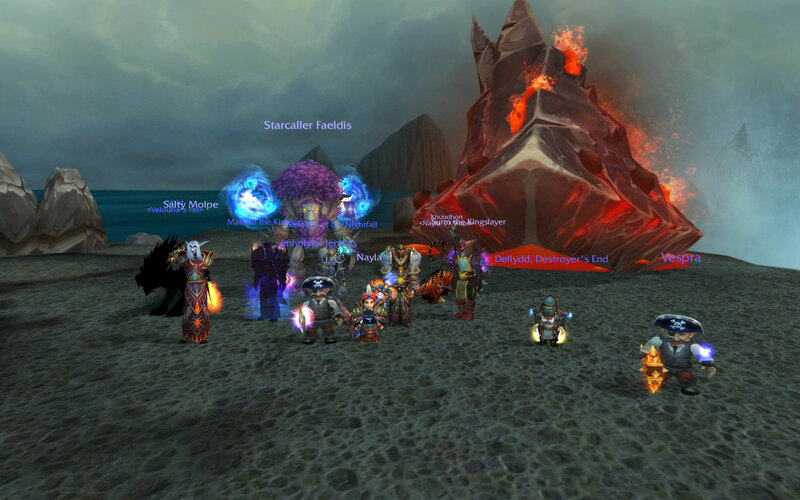 Afterwards we took on the 10-man normal raid. Remember to sign up for next week if you have the ilvl! Nullcon approaches. Festivities are planned for Sunday, Sep 16, but folks are welcome to explore the area or hang out at my house on Fri/Sat. The destination is The Tap Room, San Marcos, TX. You can fly into Austin (AUS) or San Antonio (SAT), whichever is cheapest - they are both under an hour's drive from San Marcos. San Marcos also has a Greyhound station and possibly train access though I don't have any experience with that. Any motel is going to be fine, there aren't any bad parts of town. Update: Possible change of venue; my good friend Sean, whom I was going to invite to our little shindig, decided to host a game day on this day at his house. We have few enough RSVPs that I think it'll be more fun to join his crew than do our own thing at the original venue, and he's happy to have us. What do you guys think? So I've put quite a bit of time into the "Stats" section of the site in the past week or so. Take a peek and let me know what you think. The main reason I decided to do the Professions stuff is because the in-game interface is broken and doesn't show you who can make the latest patch's craftables. This one has all the data, and even shows you when the crafters last logged in so you can quickly identify the best candidates. Do note that when searching for a recipe the search box needs at least 4 characters to get any results. This is because of the indexing approach I took. Remember everyone that is doesn't always help us schedule raids when people are signing up very close to approval time. If you can, please sign up for raids more than a day in advance! That gives us enough time to properly approve everything, and it gives *you* enough time to plan your non-WoW stuff. It is really too bad when we end up sitting what could have been a viable raid because we didn't have the signups until after approvals. Usually that means, even though it looks like we could throw it together, it is already impossible -- the earlier signups have already made other plans because it looked like the raid couldn't go. Sign up! We're on the cusp of being able to consistently run dual 10 mans if we can just maintain our participation. 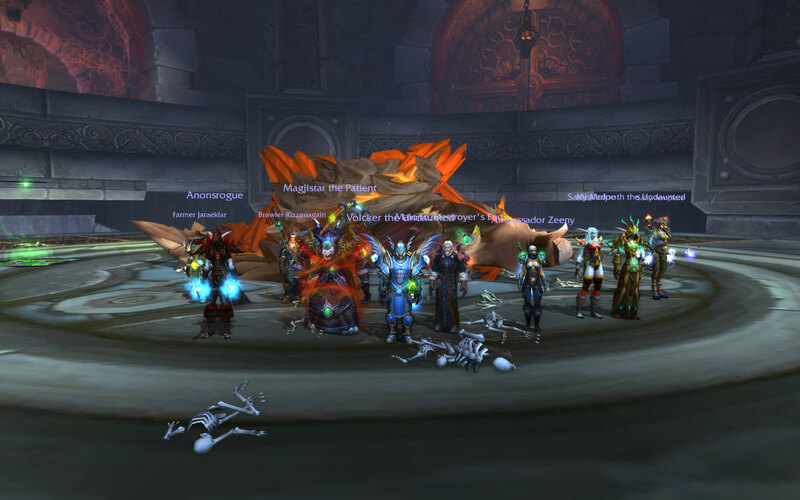 All our hard work on Sunday and a few minor adjustments tonight paid off with a one-shot kill of Deathwing! 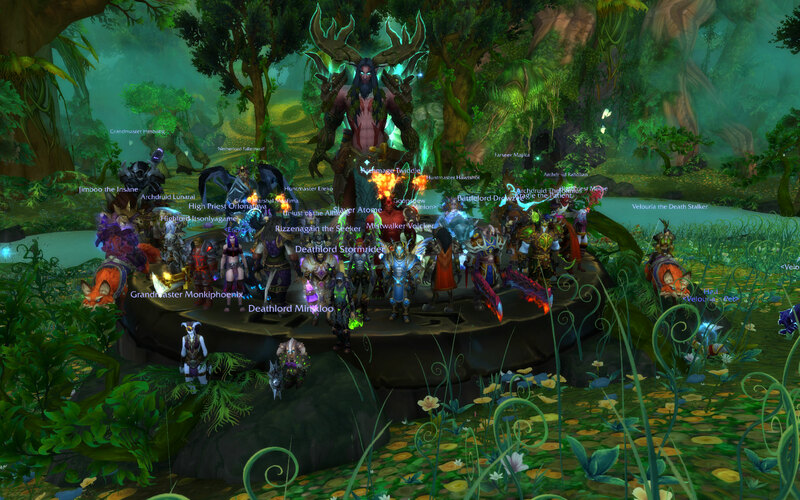 Congrats to everyone involved - and a special tip of the hat to Faeldis and Imholylol for two-healing the fight! 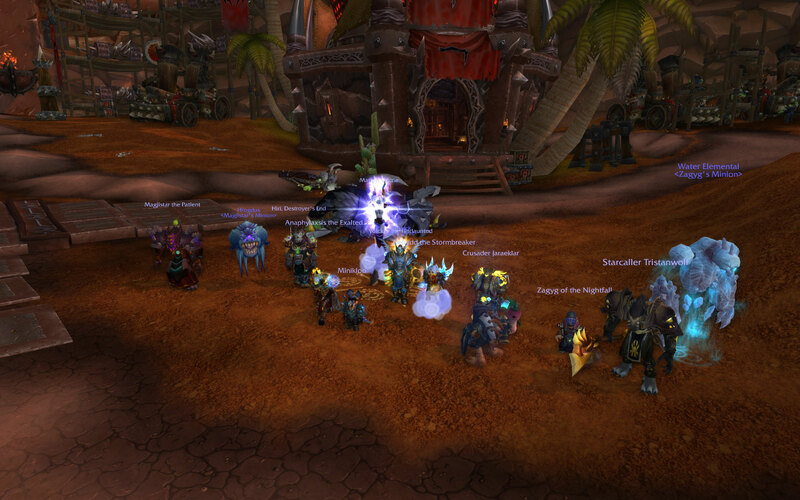 Nice for the guild to get the kill in before the nerfs take effect.